On episode 3 of Lawyered, we’re going green and chatting with environmental lawyer, Dr. Dianne Saxe. Topics include: climate change, polluted lands, and environmental personal liability. 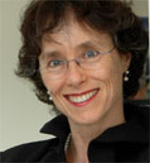 Dr. Dianne Saxe, Ph.D. in Law, was Toronto’s first Environmental Lawyer of the Year, according to Best Lawyers, and is the Environmental Commissioner of Ontario. One of the world’s top 25 environmental lawyers, according to Best of the Best, 2008. At the time of this recording, she led an environmental law boutique in Toronto. Her core practice areas: brownfields, due diligence, compliance, enforcement, approvals, green energy and climate change. She is a widely published and respected lawyer, who is regularly consulted by governments, business, individuals and environmental groups.